Skinny Satay Turkey Skewers are so versatile you can enjoy them with salad, with rice or vegetables, or on their own with extra sauce. 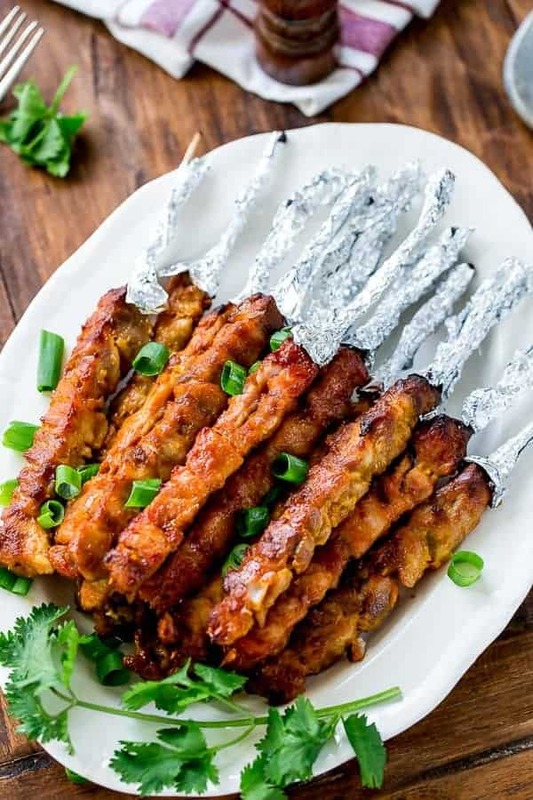 Tender and crispy pieces of satay marinated turkey on skewers, smothered in satay sauce because there’s no such thing as not enough sauce. 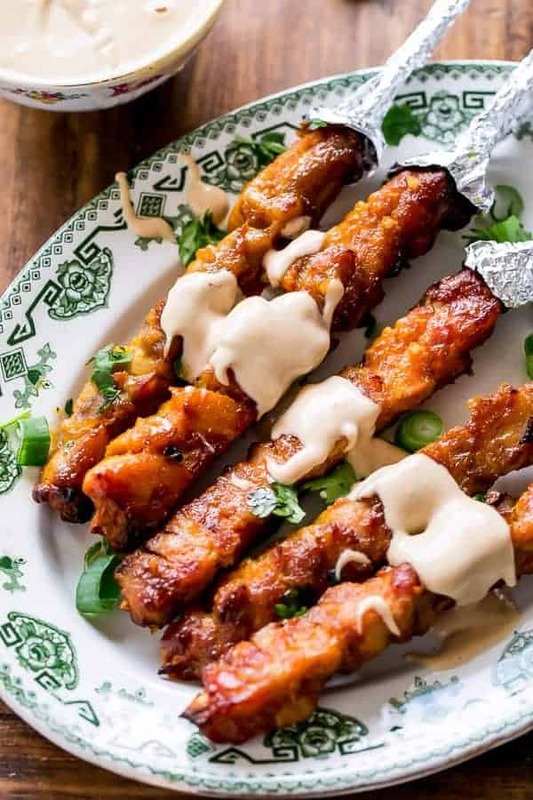 The low carb, low fat version of your favourite Satay Chicken. This is a typical dinner in our house. You may remember the Chicken Satay Fried Rice from a couple months back. This version is so much better — guilt free — but filled with satay flavours! Tender and crispy turkey pieces marinaded in a skinnified version of Satay sauce to make a beautiful meal without busting out of your pants! Soak skewers for 30 minutes. Thread turkey pieces onto skewers and set aside. In a separate large shallow dish, combine all marinade ingredients together and whisk until combined. Add skewers and marinade for about an hour OR over night for a deeper flavour. When ready to cook, drain the turkey skewers, reserving the marinade. Spray a nonstick pan/skillet with the oil spray, and fry in two batches (I did 6 per batch) on medium heat until underside is browned. Turn and cook for a further 4 - 5 minutes, or until turkey has cooked through. Alternatively, bake in a pre heated oven under the grill/broil settings on medium - high heat until cooked through, turning once after about 10 minutes. 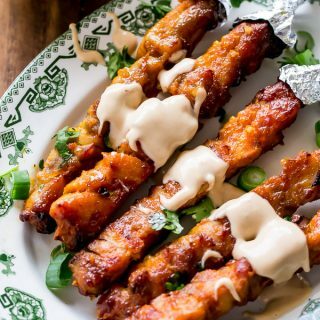 Serve skewers with coriander leaves, steamed rice or vegetables and pour the satay sauce over. Craving these turkey skewers right now, they look so incredibly delicious and healthy too!